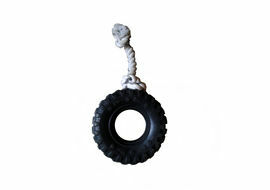 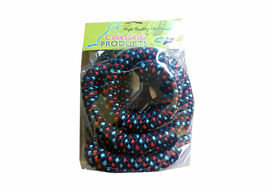 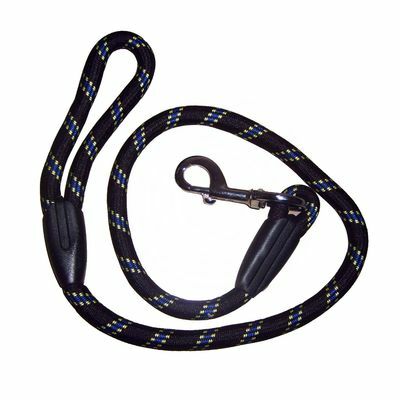 Rope leads as the name suggests are made of various types of ropes usually between 5/8 and 3/4 inch (about 2 cm) in diameter. 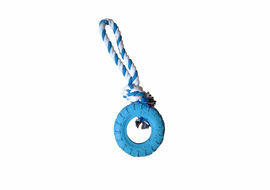 Disclaimer: All products sold on www.petsgonuts.com are branded, new & genuine. 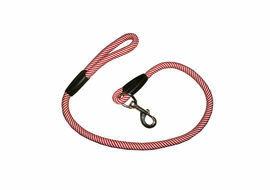 Rope leads were initially used to tie large animals like horses or it was used as a halter. 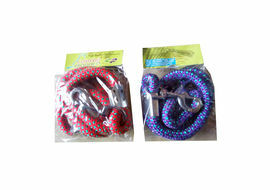 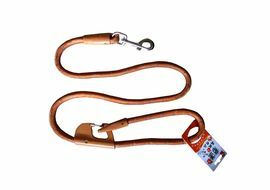 However, with introduction of large and giant breed dogs, people started using rope leads as an option for dog leashes which stands as a signage of strength and magnitudeRope leads as the name suggests are made of various types of ropes usually between 5/8 and 3/4 inch (about 2 cm) in diameter. 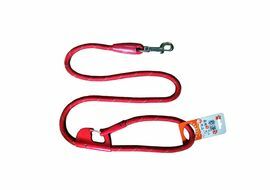 Length: 50 inchesThickness: 7 cms Hinge: 5 inches Metalic Chrome Plated HookMaterial: High Quality Thick Nylon Rope Suitable For: Medium & Large Dogs Disclaimer: All products sold on www.petsgonuts.com are branded, new & genuine.